In the early hours of Saturday, July 27, 1996, a terrorist's bomb exploded into a crowd at the Atlanta Summer Olympics, killing two and injuring 111. 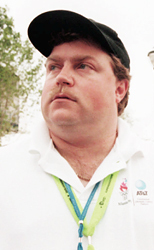 The toll would have been far higher if not for security guard Richard Jewell, who discovered the bag holding the bomb and helped clear the area. Yet within hours of his heroism, Jewell was being called a murderer, hounded for months by the government and the largest media gathering in history. The true bomber was later convicted, but when Jewell died in 2007 he was still widely remembered as a victim at best, a killer at worst. Judging Jewell revisits the scene of the crime where Richard Jewell lost the one thing valued most -- his honor. Adam Hootnick is an award-winning filmmaker based in Austin, Texas, and Brooklyn, N.Y. His critically acclaimed documentary feature, "Unsettled," tells the story of several young Israelis from across the religious and political spectrum during the 2005 Israeli withdrawal from Gaza. "Unsettled" won numerous awards, including the Grand Jury prize for Best Documentary Feature at the Slamdance Film Festival in 2007. A graduate of Harvard College and Harvard Law School, Adam began his career in news production at NBC and MSNBC. Adam has also worked for the South African Parliament's Justice Committee revising the country's post-apartheid criminal justice legislation, and published articles on South Africa in The American Scholar and Cape Town's Cape Argus. 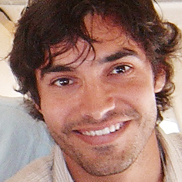 As a producer for MTV News & Documentaries, Adam covered politics and international affairs. Adam's recent projects include directing the ESPN short film "The Outstanding Mind-Bending Basketball Synergy Machine," shown at the 2012 Tribeca Film Festival, and the Webby Award-honoree music video "Shoeshine" for Brooklyn rock band Black Taxi. He is also the founder and president of Resonance Story Company, a boutique production house that specializes in creating branded documentaries.